From a bright new talent comes a riveting psychological thriller about an American exchange student in France involved in a suspicious accident, and the journalist determined to break the story and uncover the dark secrets a small town is hiding. 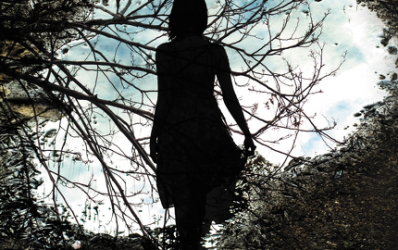 On a quiet summer morning, seventeen-year-old American exchange student Quinn Perkins stumbles out of the woods near the small French town of St. Roch. Barefoot, bloodied, and unable to say what has happened to her, Quinn’s appearance creates quite a stir, especially since the Blavettes—the French family with whom she’s been staying—have mysteriously disappeared. Now the media, and everyone in the idyllic village, are wondering if the American girl had anything to do with her host family’s disappearance. Though she is cynical about the media circus that suddenly forms around the girl, Boston journalist Molly Swift cannot deny she is also drawn to the mystery and travels to St. Roch. She is prepared to do anything to learn the truth, including lying so she can get close to Quinn. But when a shocking discovery turns the town against Quinn and she is arrested for the murders of the Blavette family, she finds an unlikely ally in Molly. As a trial by media ensues, Molly must unravel the disturbing secrets of the town’s past in an effort to clear Quinn’s name, but even she is forced to admit that the American Girl makes a very compelling murder suspect. Is Quinn truly innocent and as much a victim as the Blavettes—or is she a cunning, diabolical killer intent on getting away with murder…? Told from the alternating perspectives of Molly, as she’s drawn inexorably closer to the truth, and Quinn’s blog entries tracing the events that led to her accident, The American Girl is a deliciously creepy, contemporary, twisting mystery leading to a shocking conclusion. 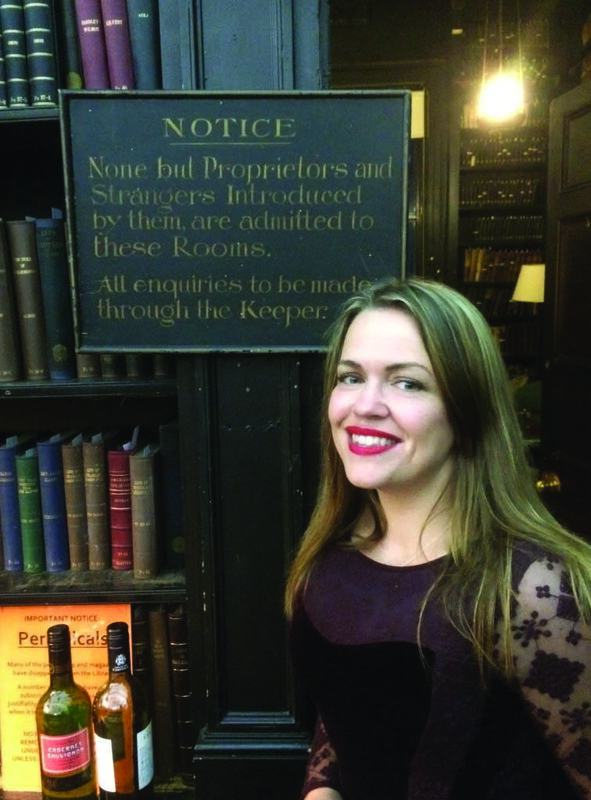 Kate Horsley’s first novel, The Monster’s Wife, was shortlisted for the Scottish First Book of the Year Award. Her poems and short fiction have appeared in a number of magazines and anthologies, including Best British Crime Stories. She co-edits Crimeculture, a site dedicated to crime fiction and film offering articles, reviews, and interviews with writers. I love a good thriller and The American Girl offers up thrill after thrill from the moment Quinn Perkins stumbles out of a French forest and gets hit by a car, through every plot twist and mysterious turn as American journalist Molly Swift goes head-to-head with local authorities to determine the real story behind the foreign exchange student’s surprising appearance, and, indeed the rest of her time in St. Roch. I liked the convention of alternating chapters between amnesiac Quinn’s flashbacks, her present-day video blog (an activity her therapist assigned) and Molly’s observations, especially since the former is confined to a hospital bed in a coma for the first quarter of the novel, and remains in the hospital (but awake) for much of the rest of the story. I have to admit, I did find myself a bit distracted by Quinn’s name. Is she meant to be an homage to the character from the television show Scandal, who also has an amnesiac Quinn Perkins at the enter of the story, or did the author merely draw the name from mid-air? I wish I’d thought to relay a question through the blog tour host and publicist to find out. I also have to confess that while I enjoyed the mystery/thriller aspect of this book a lot, I found that some of the individual story elements were a bit predictable. Molly’s flirtation with the local law enforcement is one; whether or not we should trust Quin is another. Still, even with some minor flaws, the overall tenor of this novel is exactly what it should be for a story this dark and this intimate. The characters at the center of it – Molly and Quinn – are painted with deft strokes, the supporting cast with slightly less definition, but enough to be believable. Similarly the tone – moody and murky – kept me involved in the mystery rather than working it out long before I was finished. 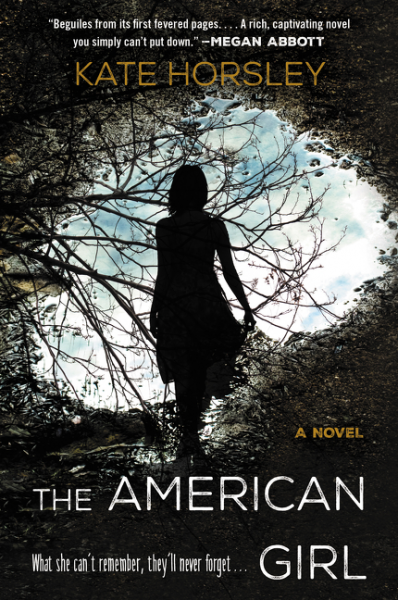 If you want a novel that sustains a nice creepy mood, tells a gripping story, and is otherwise well-crafted, you should read The American Girl. Goes well with a cheeseburger, fries, and a Coke.